Your marketing strategy is how you intend to acquire new clients. Without one you are relying on dumb luck and that pretty stupid. What about when your luck runs out? In our last article we talked about setting goals and making them good, or S.M.A.R.T. We’re now going to look at making those goals come to life, we are going to talk about strategy, specifically marketing strategy. Marketing is the action taken to move a person from having no idea that you or your company exists, into a position where they want to buy from you and become your customer. Different kinds of businesses and products have different ways of selling. High-end consultancy will be sold to businesses in a very different way than a coffee shop sells to its patrons. The different ways these businesses approach their marketing is defined by their Marketing Strategy. Marketing has goals – your marketing strategy is the way those goals are reached. In the S.M.A.R.T system they are the actionable component of a goal. A coffee shop usually makes money by being in the right location. 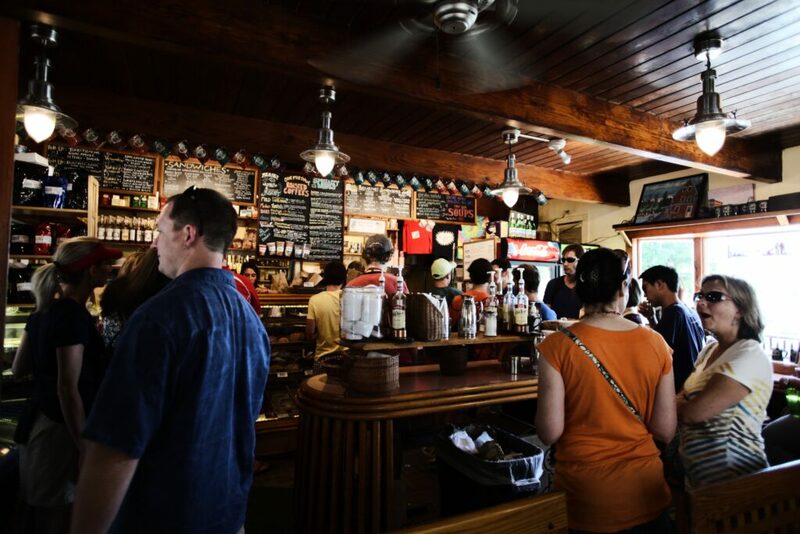 Very few people will travel to get coffee (unless, you know, the coffee is particularly good), therefore, as differentiators, they will benefit by setting as goals delivering good service at a reasonable cost. Investing in a massive AdWords campaign probably isn’t going to bring a local, artisan coffee shop loads of new business, whereas that tactic might be worthwhile to Starbucks, just to make sure people are seeing their brand every day. Do the local coffee shop and Starbucks share some customers? Sure. Are they competing? A little. Does it matter? Not really. Starbucks and the artisan shop, overall, have different customers and a different product targeted at those different customers. Their marketing strategies are different. The local shop can make it by having a better, more interesting product that people talk about precisely because it’s not Starbucks. Starbucks’ strategy is to provide the same thing on every city street, so you can never be without them when the craving calls. Compare these to selling high-end business to business consultancy services. These purchases are not made on impulse, these are carefully thought out purchases and engagements made to solve specific, expensive, problems within an organisation. These are purchases not decided by convenience, but on value and trust. How much value you can provide (how expensive the problem is) and how much we trust you to be able to do it. Now we have a different problem, rather than being easily available or having a superior, but still low-cost, product; our marketing must help our potential customers see how much we know, how good we are at doing it, and exactly how much it will improve their lives to let us fix that problem for them. Your marketing strategy depends on three things then: Who your customer is, what you are selling to them and why they choose to buy it. There are other factors too (what you can afford, what capabilities you have, what other resources you have access to), but those three elements are key to getting your marketing started effectively. This is key, It’s really unlikely that your target customer is everyone. You need to get specific. If you’re shouting loudly at everyone, then no one can hear you. Shout at a few people and maybe they can hear you. Focusing on a small group of people lets you focus your resources and get really good at serving this group of customers. To position your messaging to speak directly to the problems they want solved, using the language they use as a group – you’ll appear as an insider to their industry and people will trust you more as a result. Nobody is buying what you actually do. This goes back to goals; what you sell is a means to an end, a way of reaching a goal for your customer. If you’re a developer, nobody buys “programming”, they are buying the creation of their app so they can make money or reach some other goal. You are selling them opportunity, not programming. In our case as an example – nobody buys a website, they want to solve a problem, usually a marketing problem. A website is just one way of doing that. We sell the solution to online marketing problems, not websites. Your market is probably crowded. Why does anybody choose you to solve the problem they need to be solved? What can you do to make sure that you are their top choice? What can you do to let them know you will provide more value in solving their problem than you cost them in money, time or energy? How can you provide them with more money time or energy? By answering those questions, you will be able to generate the key information you need to build a marketing strategy. poweredbycoffee is a solver of digital marketing problems for online businesses. We deal primarily with consultancy and service style businesses in the business to business market. We work with companies who are doing well and want to grow. Turn over at our target companies is from £500,000 to around £5,000,000. Ideally the company is big enough to have a team (~10 people) but the owners or founders are still the primary decision makers regarding the marketing activities of the company. We have not yet chosen a specific vertical market to focus on, but we are working on it. As we need to get the attention of the owners of companies of that size, who are aspirational and want to grow, we need to produce content that tells these individuals how we can solve the problems they have. How sound digital marketing strategy, design, and content can make massive differences to their bottom line. We need to solve the problem for them before they know it’s a problem. Our service is expensive and a one time trip to our blog or website won’t build enough trust with our targets for them to feel comfortable reaching out to us. Our primary goal for the site is that they reach out to us, but we also have a secondary goal. We want to capture the information of the visitor to bring them back to the site either through email marketing or social media, ideally email marketing. Once we have captured the information and been given permission to send marketing material to our target, we can build trust and brand awareness with them by sending high quality educational content, that solves more of their problems, directly to them on a regular basis. We build trust and goodwill with the person, keeping at the top of their inbox and mind so when they come to needing a project done – we will be right at the top of their list. We may occasionally also reach out directly to people on the list who we know are engaged without content and fit out target directly. They key for us is building trust with the potential client, they need to know that there is as little risk working with us as possible. You’ll see from our marketing plan that there are a variety of stages into which a person can fall at any given point in time. Firstly we earn the traffic of a first-time visitor, either to being linked to from a blog, search engine queries, Pay Per Click or other paid media. Next we answer questions for them and provide value, we seek to educate more than convince. If we have provided sufficient value to build some trust, that visitor will join one of our mailing list campaigns related to the content they read. Once on an email list we can send content and information that is valuable, converting this list into customers in our goal. This is our multi-step marketing funnel that leads to the sales funnel. The next post in our redesign series is going to be on defining our target market. We’re going to explore the advantages of doing this and reflect on how it can really benefit business. Sign up to your email list below to have it delivered to your inbox before it gets published here you don’t want to miss out do you? Goal Setting: The key to successful projects?